These rides are a great way to start group cycling. Typically we spend two to three hours cycling with a break for coffee and cake somewhere on the way. 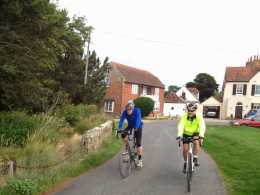 We don’t do big hills and we try to keep to quiet roads or cycle paths where we can.